Taking on the Title of Coach covers everything from running an efficient practice, development through fun drills and skills, and in-game management. It teaches coaches how to communicate with their players and how to impart the different life lessons the game offers. These coaching insights, or Diamondisms, are the grit that makes the difference in coaching. For example, when one of our players hits a line drive to the center fielder and it’s caught, the stats book says 0-1, but we count it as a quality at bat, or QAB. We need to keep the game fun so we can get kids off the video games and electronics, outside and playing hard. · Parents who want to learn how to be great coaches. · Recreational baseball/softball team directors that want to teach their volunteers how to be great coaches. · Youth coaches that want to enhance their skills and relationship with their players. 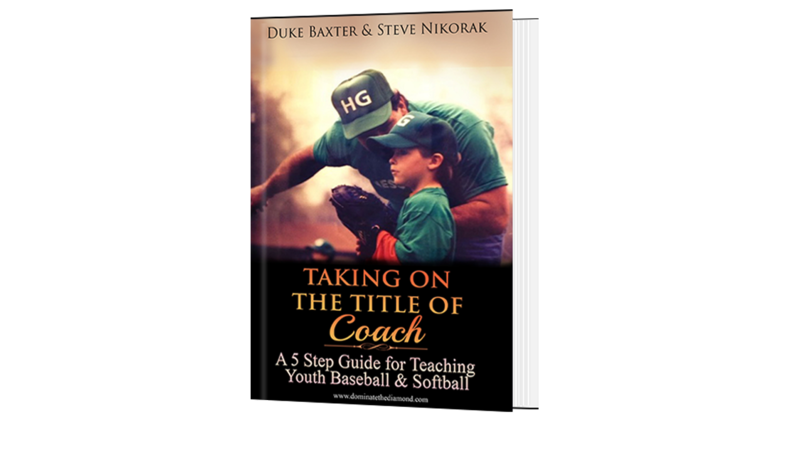 Taking on the Title of Coach is the first book in the Dominate the Diamond franchise which will include a series of books and video tutorial focused on developing the youth athlete. Duke is CEO and Head Coach at Zoned Sports Academy as well as an inventor, entrepreneur, and most importantly husband and dad of four. Duke spent 3 years with the Somerset Patriots and holds numerous hitting records at the University of North Florida. Steve’s professional career includes the Chicago White Sox, Somerset Patriots (Atlantic League), St. Paul Saint’s (American Association) and New Jersey Jackals (Can-Am League). Steve has a degree from Temple University. 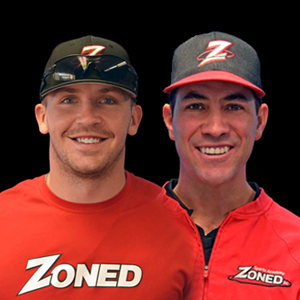 Steve is Coach and instrumental in Business Development at Zoned Sports Academy. Baxter and Nikorak’s share their love of baseball and desire to keep kids in the game by teaching the fundamentals and keeping the game fun!